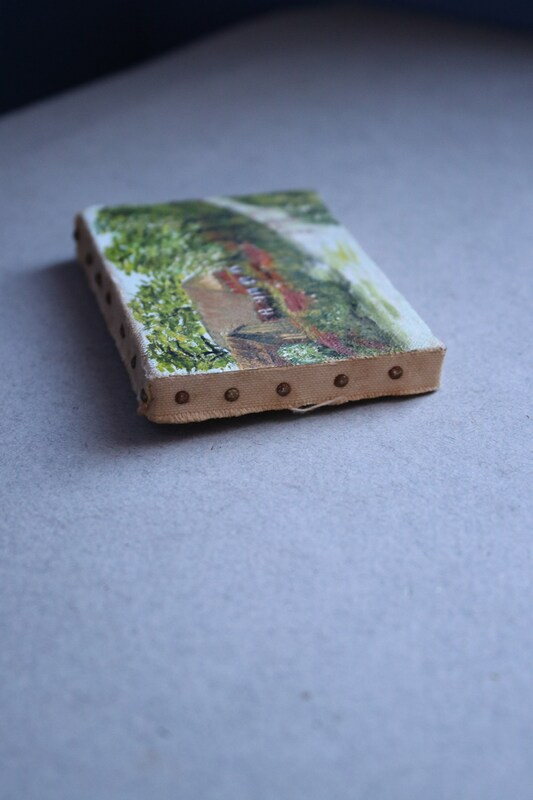 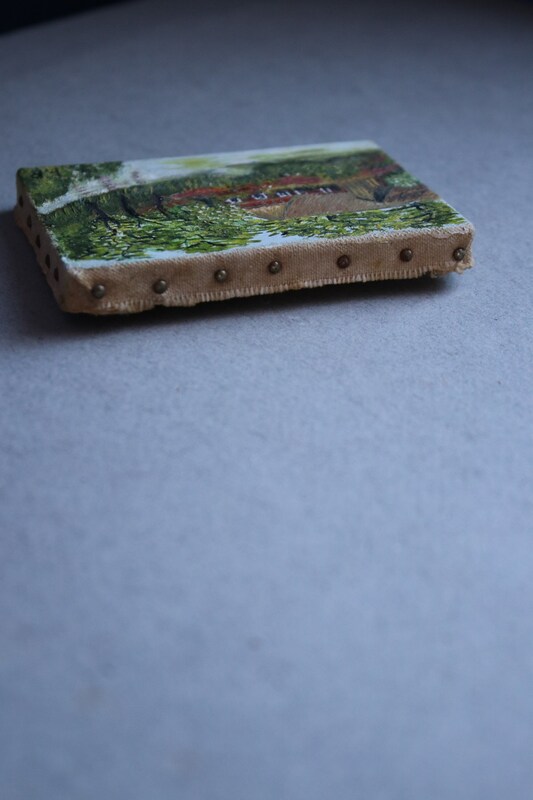 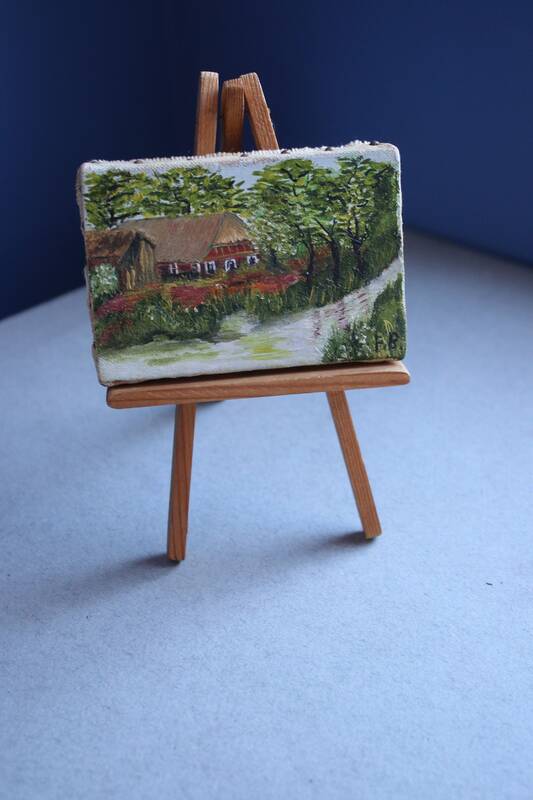 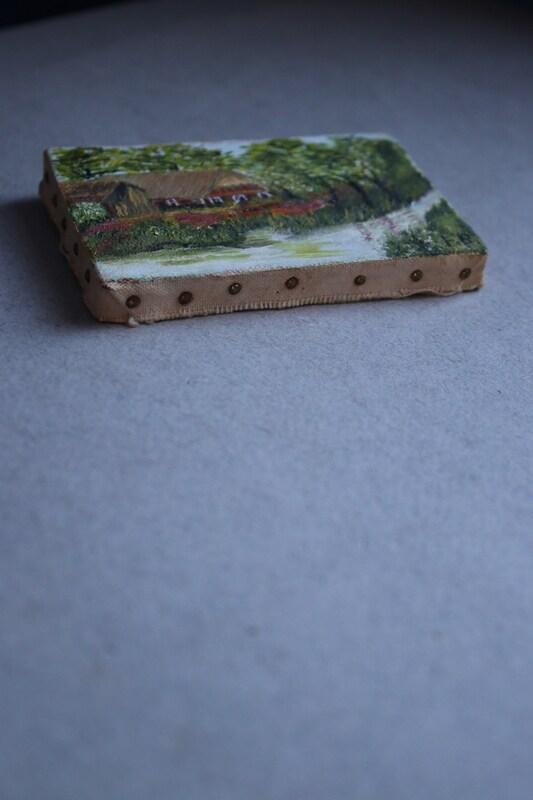 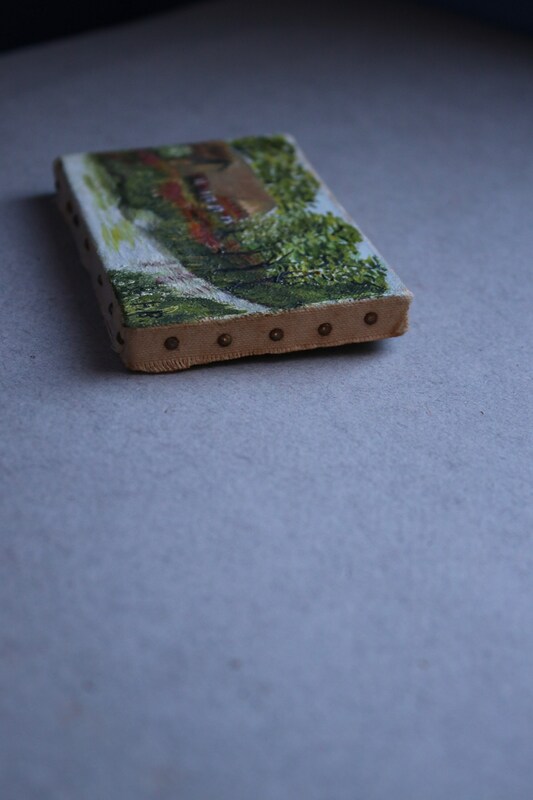 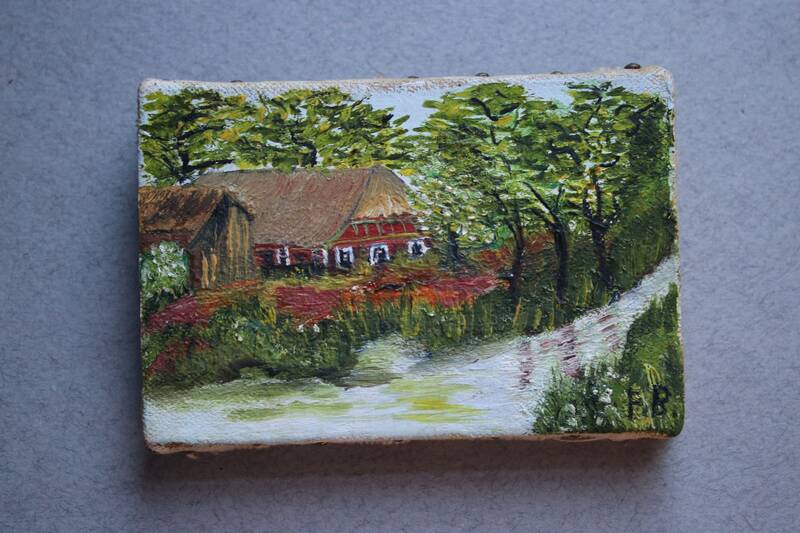 This miniature oil painting has provenance and is from Bremen, Germany. 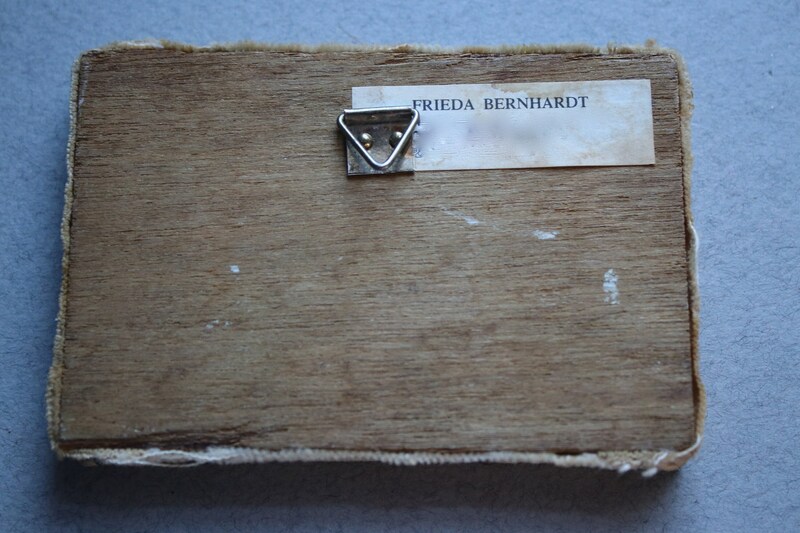 The label on the back gives the artist's name, Frieda Bernhardt, address and phone. 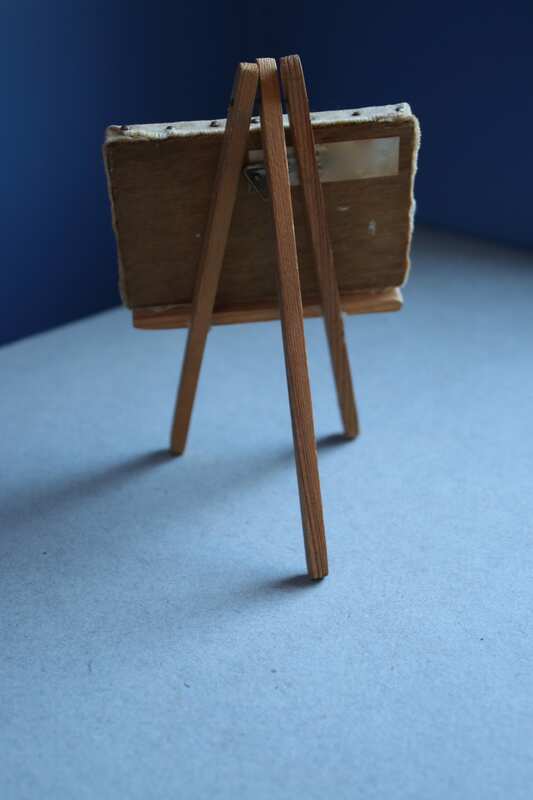 For the sake of privacy, I've blurred the contact information in the photos. 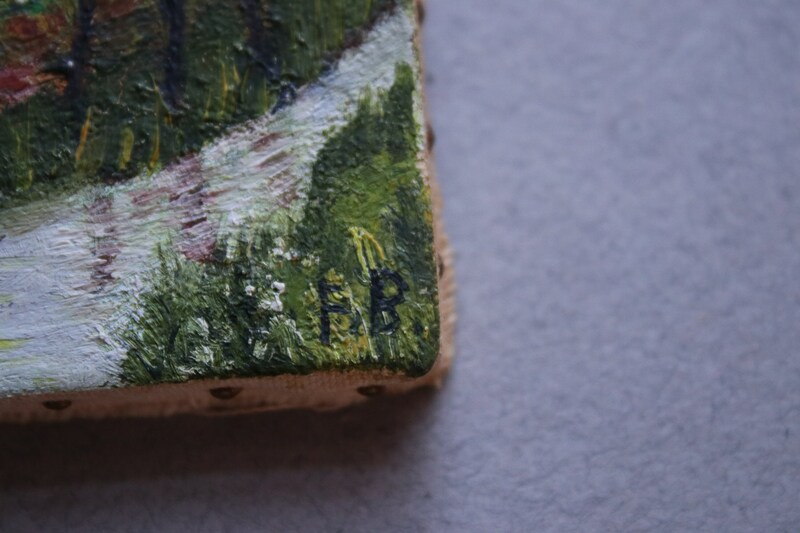 The painting, which is signed with the artist's initials, is 3.5" x 2.5" x .50", and the easel is 6" in height. 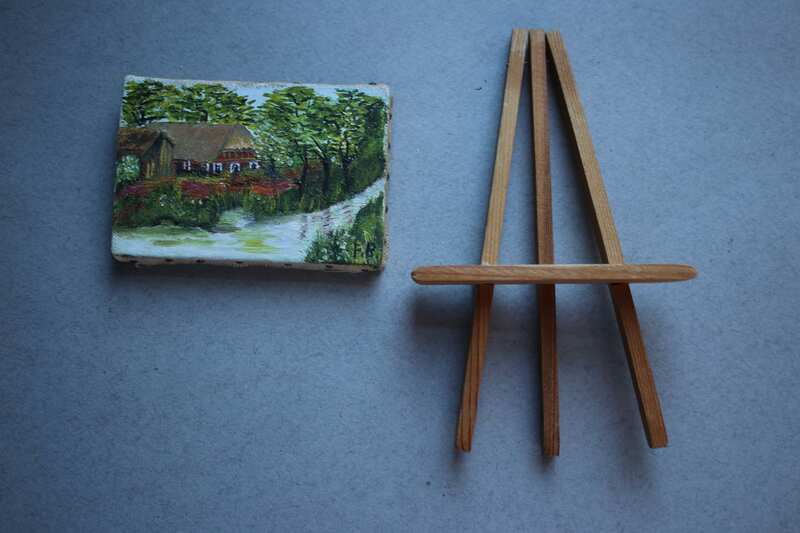 The easel piece upon which the painting rests is 3.5" across.